Prayer is a two way dialog with God our Father – and one of the most important tools we have to communicate directly with Him. God honours prayer. There are usually 3 answers to prayer – Yes, No and Wait. He doesn’t always answer in the way we want or expect – God has a bigger plan that we are not always privy to. 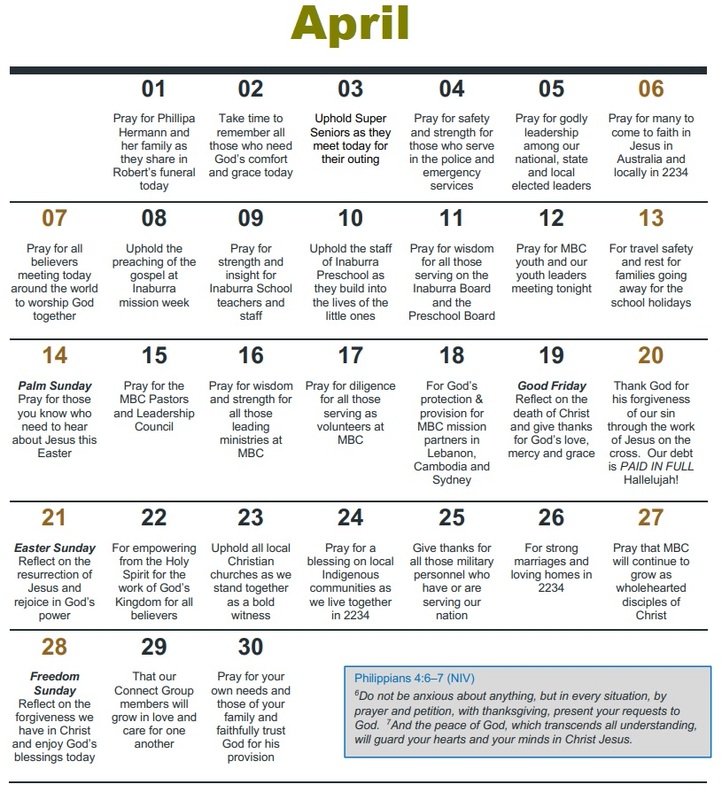 MBC365 is a prayer initiative for everyone at Menai Baptist Church to cover our church family, our 2234 community, our country and our world in prayer every day. Everyone will be praying for the same item each day and this allows us to focus on specific matters and have it in our mind throughout the day. (Scroll down to find a pdf to print).